While wandering through the cities of Andalucia, Granada is most certainly not one to be missed. It’s the land of overflowing tapas, hilly, cobblestone streets, breathtaking views and the most widely-visited palace in Spain. Sitting at the bottom of the Sierra Nevada mountains, Granada is a city with much to discover, many streets to stroll through and some amazing sights to see. Have a look at some of the best things to do in Granada, Spain. The Alhambra, of course, is the sight to be seen in Granada. This ancient Arab palace is full of history, architecture and beautiful bursts of art – the keyhole shaped arches, colorful tiles lining the walls and extravagant fountains. 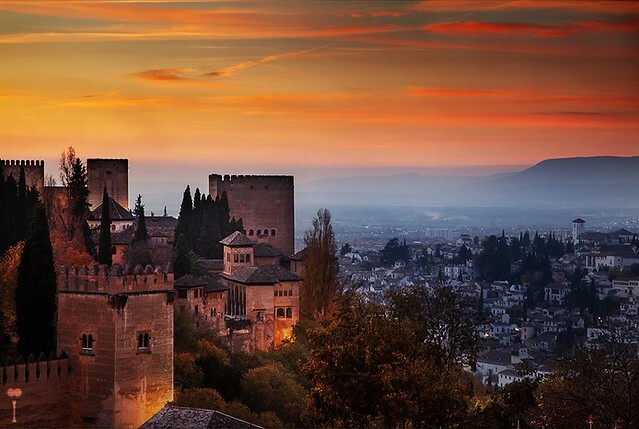 Join us on either the Flavors of Andalucia tour or the Colors of Andalucia tour, and enjoy an exclusive night-time visit to the Alhambra, which simply doesn’t compare to any other tour offered within the majestic palace. The Albaicin, the old Muslim quarter, is one of the best things to see in Granada. This little area of Granada is bubbling with life, from the breathtaking viewpoints like the Mirador de San Nicolas, to the picturesque streets that wind up and down the hilly neighborhood. Inside the Albaicin, you’ll find delectable tapas bars, ornate homes with beautiful patios and little shops lining the streets where vendors sell special little trinkets from North Africa. 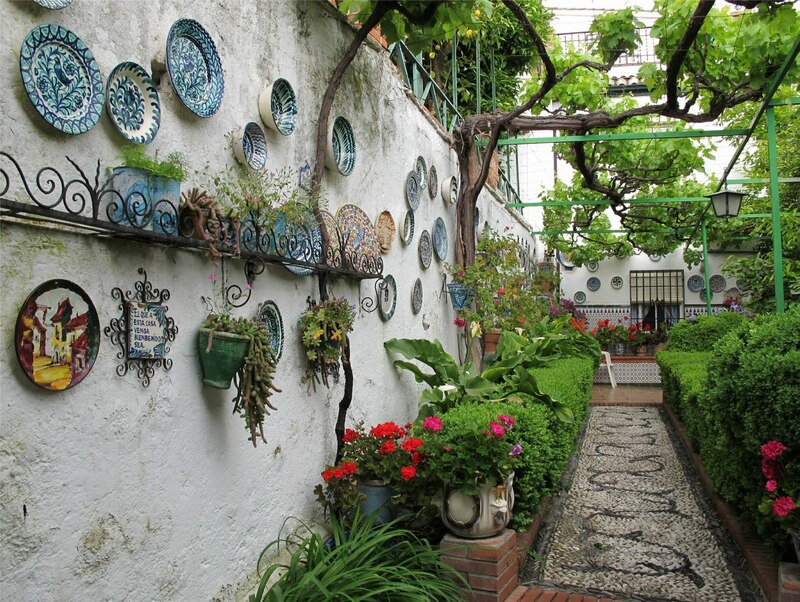 With the Flavors of Andalucia tour, join us in discovering the Albaicin’s charm and character as we spend an afternoon exploring one of Granada’s best neighborhoods. Granada’s cathedral is a whisper of both the past and of where Spain comes from. Granada, which was the last bit of Spain to be recovered from the Muslims, is where the Catholic King and Queen Isabel and Ferdinand decided to build a cathedral right where a mosque once stood. Despite this show of power and Catholic dominance, Moorish architecture and touches are still laced throughout the entire city, and it’s this beautiful mesh of cultures that makes the city so unique. To get a feel for the Catholic-part of Granada, don’t miss La Catedral de Granada or the Capilla Real – the actual resting place of Isabel and Ferdinand, and undoubtedly one of the best things to see in Granada. To learn about more of the best things to see and do in Granada, Spain, click here for more information. Don’t forget that we specialize in creating tailor made tours, working with you to deliver the very best of Andalucia.